Are you looking for help in providing your pet with flea control? It’s not a hard task but it does need to be done to prevent flea infestations in your home along with on your pets. Lets look at some basic preventative measures you can take to prevent fleas on your pets. There are many varieties to choose from and the price range is extensive, anywhere from $10-$60 + for a 3 month supply. To be perfectly honest, you can go for the high end brands like Frontline and Advantage but they have had some complaints about the effectiveness of the products. I know that in 2013 there was a lot of unhappy customers because it just wasn’t working the way it use to. Either the fleas had become immune to the chemicals or the product was more diluted than in previous years. I know that I used it religiously on my pets and that year it just didn’t work! I ended up having a major flea infestation in my home and on my pets. that can be used effectively and are much more cost efficient for your pets flea control. I ended switching to Hartz First Defense when Frontline and Advantage weren’t working as promised. Not only did it kill the fleas on my pets but it was a huge help in getting the flea infestation under control within my home and for a fraction of the cost. 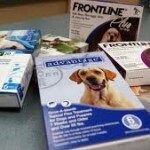 there are oral flea medications that you can give your pet monthly to control fleas. I haven’t tried them myself with my pets but they do have great reviews as far as the ability to prevent and kill existing fleas. 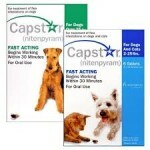 Capstar is an oral medication for cats and dogs and will kill the existing fleas along with any new ones that hatch on the host, your pet. This product starts at about $25 per package with a 6 month supply. 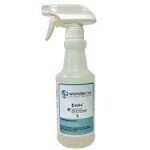 with your pets there is another effective option out there that you can use, EVOLV by Wonderside. This comes in aspray bottle and is available in a Cedar and Lemon-grass scent. I have this for my pets as well and I spray it on them a few times a week. It is very effective against fleas in all of their life stages. You simply spray it on and use your pets comb or brush to disperse it through your pets coat to the skin. This product can also be used on your furniture and carpets to kill existing fleas and all of their life stages. This is a very effective product for flea control and can be used safely on kittens and puppies as well. for your pets to keep them from becoming a host to the flea then any of the above products are a perfect preventative measure. However if your pets already have fleas you will want to take steps to remove the fleas from your home both indoors and outdoors to keep you and your pets safe and healthy. Visit any of the following pages to find step by step instructions to remove fleas permanently from your environment. Hi, just wondering if “OFF!! Deep Woods” would work for fleas on myself?. I just discovered that there are fleas on me and my cat.. this is embarassing and annoying. thanks and thank you for the great resource here on fleas. Hello John, I’ve never heard of people using OFF to repel fleas on themselves but I would imagine it would work. If it works for repelling mosquitoes and such. I wouldn’t spray it on your cat though because it is highly toxic and cats are more sensitive to certain chemicals. You could use Wondercide on your cat and actually on yourself as well to repel the fleas and kill any eggs or larvae they may have left. Best of luck and please let me know if I can help you any further! !